Gears of Halo - Video game reviews, news and cosplay : ME3 Resurgence pack DLC is free! Bioware have been busy with Mass Effect stuff lately with the patch release, the Extended Cut and now some new free DLC for ME3 multiplayer fans comes in the form of Resurgence pack. I wonder in light of the fiasco around the ending (which I kinda liked) that Bioware chose not to charge a fee for the DLC so as to keep fans happy...? What do you think? You can down load the DLC right now. Here's the promotional guff from Bioware. Join the war for Earth in Mass Effect 3! Owners of Mass Effect 3 can download the first multiplayer expansion for no additional cost. The Mass Effect 3 Resurgence Pack adds new unlockable content: deadly weapons, new consumables, and powerful characters for each class in multiplayer, including the Asari Justicar, Batarian, Geth, and Krogan Battlemaster. Additionally, the Mass Effect 3 Resurgence Pack also includes 2 new maps, Firebase Condor and Firebase Hydra. Download this pack on April 10th and take the battle online in the critically acclaimed Mass Effect 3 multiplayer experience. Asari are fierce, graceful warriors. They are incredibly powerful natural biotics. The asari excel at hit-and-run tactics that ruthlessly eliminate their opponents from the battlefield. Krogan Vanguards are a brutish specimen. These fully mature krogan might be old and slow, but their biotic charge ability makes up for it. Their heavy shields and ability in close makes them a menace on the battlefield. Geth Infiltrators converge quickly on a target while remaining undetected. Their unique perception systems give Geth Infiltrators an unsurpassed understanding of the battlefield. Geth EngineerGeth Engineers are elite support specialists. Their unique perception systems give Geth Engineers an unsurpassed understanding of the battlefield. Batarians are large brawlers that use nets and spiked weapons to capture targets… or to bleed them dry on the battlefield. If an opponent gets too close, a Batarian bludgeons them with spiked armor and enforcement gauntlets. • Firebase Condor – A warzone outpost located on one of Palaven’s moons, Firebase Condor represents a crucial asset in the defense of the Turian homeworld, providing the beleaguered turian fleet with a place to refuel and repair. Its loss could grant the Reapers unparalleled access to the Inner Council Theatre. • Firebase Hydra – Firebase Hydra is located in an old abandoned Quarian colony which humans took over when they originally settled the world of Ontarom. It has since been converted into a massive dam facility which powers the communications hub located at Firebase Dagger and the kinetic barrier which protects it. Without this critical power source, Systems Alliance communications within the entire theatre would go dark. • Striker Assault Rifle – Krogan rifle with explosive rounds. Its rate of fire increases when the trigger is held. • Kishock Harpoon Gun – Deadly one-shot batarian weapon. Causes bleed-out or disruption of target. 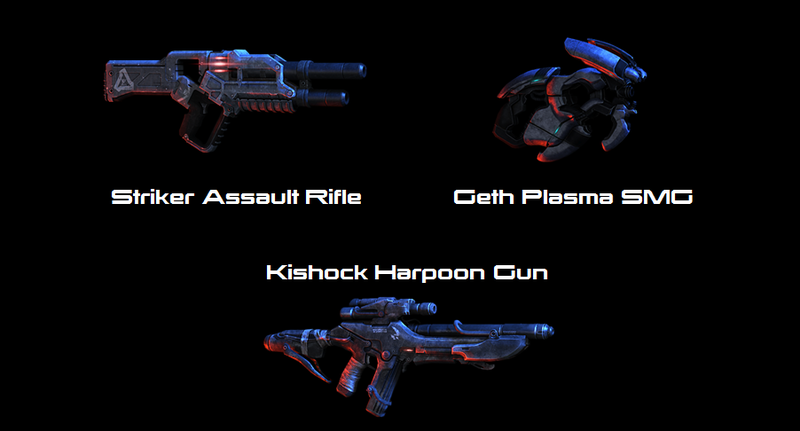 • Geth Plasma SMG – Fully-automatic geth submachine gun. Its rate of fire increases when the trigger is held. When is the Resurgence Pack available? The Resurgence Pack is available on April 10th for Xbox 360 and PC worldwide. For PlayStation 3 owners the pack will be available on April 10th in North American and April 11th in Europe. What exactly is included in the Resurgence Pack? Firebase Hydra and Firebase Condor are available to play on as soon as the Resurgence Pack is downloaded. The new weapons, characters, and equipment are available as rewards inside Reinforcement Packs. How many new characters are there total? There is a new character for each class in the game, so 6 new characters to play as total. There are also new races introduced including the Geth and Batarians. Does each new character come with new abilities? Yes the new characters will have their own unique abilities and loadouts. How much does the Resurgence Pack cost to download? 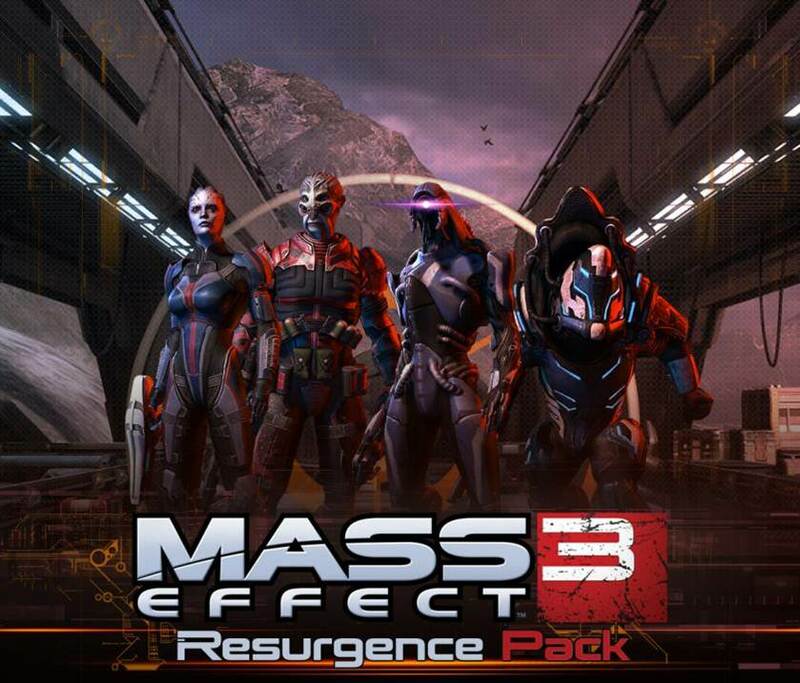 The Resurgence Pack is available at no additional cost for Mass Effect 3 game owners.